Kit includes; 6 cartridges, 6 collars, 12 mixing tips and the application gun with safety equipment. i.e. goggles and gloves. 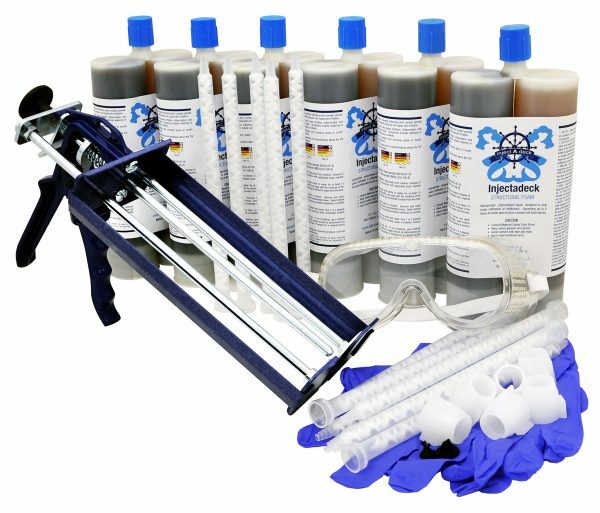 This kit was designed for large boats or Marinas and Marine Services and will repair up to 50 sq ft of 1″ deck. Kit includes: 6 cartridges, 6 collars, 12 mixing tips and the application gun with goggles and a few pairs of gloves.